We are knee deep into July and the excellent guiding skills of our guides are getting Healing Waters Lodge guests into some nice fish. 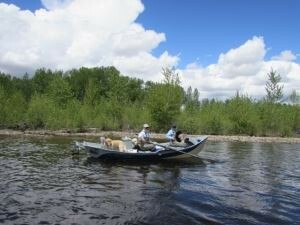 Fly fishing the Beaverhead, Big Hole, Jefferson, Madison and Ruby; and also, access to miles of private water are options that we have to offer. Give Mike Geary a call today at 406-459-2030 for more information on day trips or accommodations at the lodge.